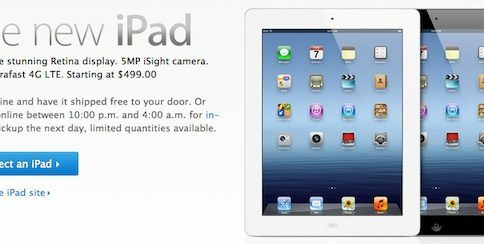 Uh-oh, it looks like Apple is now facing additional probes by consumer watchdogs in other countries around the world for misleading 4G iPad buyers with false advertising. Yesterday, Apple of California was forced to bow to the pressure from the Australian Competition and Consumer Commission over the matter and is now offering refunds to those consumers believing they were misled. One may rightfully ask if the marketing of the new iPad is misleading,” Mr. Andersson said. While iPad is equipped with 4G connectivity, it will only work in the U.S. and Canada. The question is whether this information is clear enough in Apple’s marketing. 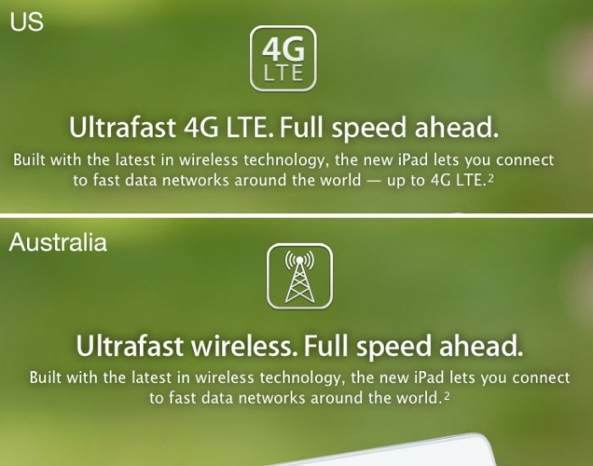 We are aware of the news from Australia regarding the iPad 4G marketing claim… Without going through due process we can’t say whether the (UK) ad is likely to be problematic. If anyone has concerns about the iPad ad then they can lodge a complaint with us and we will establish whether or not there is a problem under the Code. And if our commenter is right, Apple could be facing trouble in Norway, too. As you know, the new iPad supports the fourth-generation Long-Term Evolution (LTE) cellular radio technology, but only on the 700MHz and 2100MHz bands. While those frequencies are compatible with carriers AT&T and Verizon Wireless in the United States, wireless operators elsewhere may use different bands. For example, the 700MHz band is used for television broadcasts in Sweden. The above image, courtesy of 9to5Mac, depicts a change in Apple’s 4G advertising for the new iPad following the Australian ruling. What do you think, is Apple misleading some folks and fooling them into believing their 4G iPad actually supports their carrier’s variant of LTE technology? It is false advertising, no? But then again, carriers too should be scrutinized. After all, these guys have perfected the art of misleading by marketing their third-generation networks as 4G-capable, the Next Generation Wireless Disclosure Act be damned. Memories are still fresh of how a recent iOS firmware update allowed AT&T to put the 4G logo on 3G HSPA+ iPhone 4S. Is any of this ticking you off?